If you are in Cupids this upcoming Friday, you might considering joining us for the HFNL's second annual Headstone Rubbing Workshop! This session will be in partnership with Cupids Legacy Centre. This workshop is aimed at teaching best practices for documenting headstones in historic cemeteries. 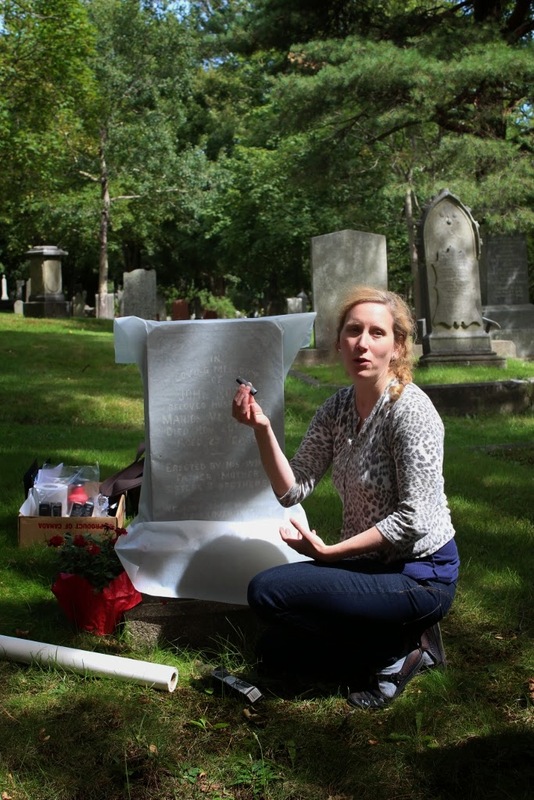 We will cover the art of making rubbings, reasons to use this method for headstone documentation, basics of discovering headstone symbology, and how to give attention and respect to our historic cemeteries without doing damage to the stone artifacts. You will walk away with at least one headstone rubbing that you have made yourself, as well as some knowledge about the importance of cemetery conservation. Note: Charcoal can be messy so please remember to dress in clothes you don't mind getting dirty. All materials provided but you may wish to bring a pillow, knee pads, or a stool.